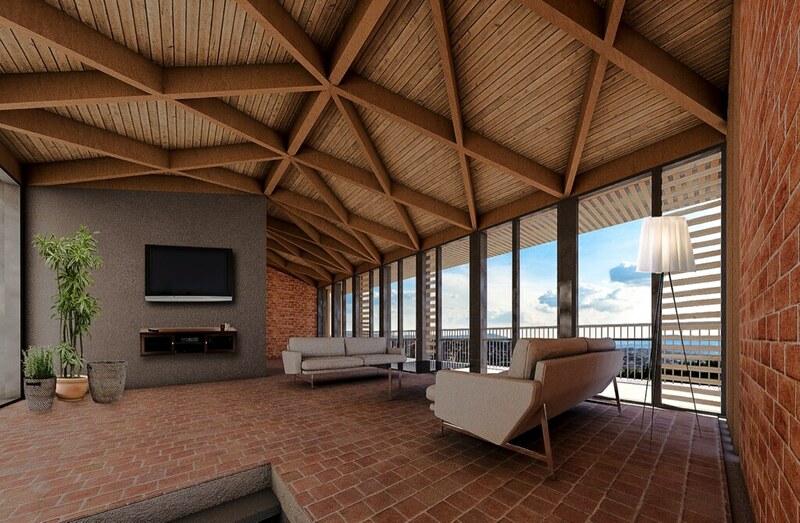 The Green Housing Technical Studies project was undertaken with Horizon Group to develop a masterplan for a sustainable neighbourhood in Rwanda. The technical studies that form the master plan detail how to effectively incorporate renewable energy and energy efficiency technologies, centralised wastewater treatment technologies, rainwater harvesting, green spaces & pollution management into Rwanda’s homes of the future. The studies were developed in partnership with Light Earth Designs and Rubengera Technical Secondary School, both of which conducted research and provided findings that will help homes easily integrate green systems. The masterplan and technical studies are now available as an open source tool for property developers to use when designing and constructing housing projects. The studies were funded through a Green Fund Innovation Investment and aim to enhance Rwanda’s ability to develop housing infrastructure in a way that is climate-friendly. The project has additional benefits including green jobs for the community, homegrown skills development and a reduced dependency on expensive and carbon intensive imports. The total investment by the fund in the project is Rwf 127,094,325 or US $170,000. This represents 73% of the total cost of the project. The remaining Rwf 46,364,775 or US $60,000 (27%) was invested by Horizon Group. Horizon Group has acquired 13 hectares of land in Kinyinya Sector of Gasabo District and will use this land to construct a environmentally friendly neighbourhood to demonstrate the extent to which resource conservation, renewable energy, land use efficiency, green spaces, and efficient and effective pollution management technologies can help Rwanda achieve its national development strategies. The Cactus Green Park will demonstrate green economy benefits through employment as well as setting an economic base through construction of apartments that target medium and low income earners while the semi-detached and villa houses will target middle and high income earners. The technical studies produced under the project have generated much needed information on the nature and type of environmentally friendly, climate resilient and resource efficient features that will be incorporated into the design and construction of the homes of Cactus Green Park. If you or your company would like a copy of the Green Housing Technical Studies, contact us at info@fonerwa.org.